Forces to simulate infiltration and takeover of northern village as well as massive fire and IDF attack against enemy in air, land and sea. IDF Northern Command will begin an all-inclusive exercise codenamed Or Hadgan, which last took place 19 years ago, during which tens of thousands of soldiers will be trained in all aspects of the northern theater. "The goal is to train all the forces," says a senior officer, explaining that "the next war will be different from anything we have known so far and therefore we must prepare for it properly. The exercise integrates all arenas: sea, land, air, and telecommunications, and will be performed in three phases." 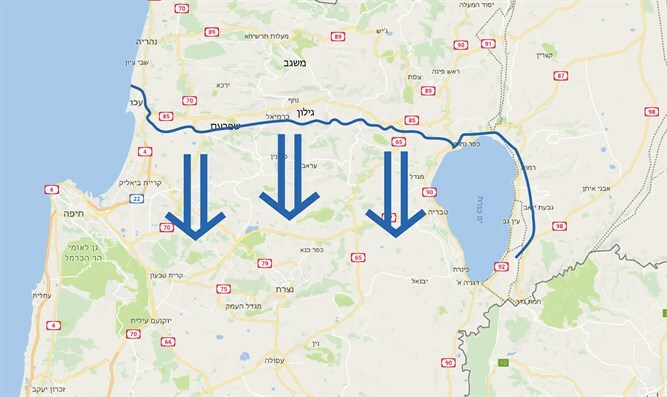 "In the first phase, during the defensive stage, forces will simulate a terrorist infiltration and the takeover of a northern settlement, while at the same time the IDF will deliver massive fire while rounding up forces. "In the second phase, an attack will be simulated, integrating all relevant forces and shifting command assignments deriving from the need to practice scenarios that are not prepared in advance." The senior officer said the preparations for the exercise lasted more than six months, feature full combat posture, and were approved at chief-of-staff level. A number of brigades and reservists will participate in the exercise, including infantry, armored corps, artillery, regional brigades, reconnaissance battalions, and other units. The naval side of the corps exercise will include a flotilla of missile boats, a submarine squadron, naval commandos, regular security forces, coordinatted through the new Naval Command operational headquarters . The Haifa naval base will be the main fighting arena for field forces, and at operational headquarters forces will be deployed in the Naval Command's control center. All air force bases will participate - Ramat David, Basis haTechni, Tel Nof, Palmachim, Sde Dov, Hatzor, Hatzerim, Nevatim, Ramon, and Ovda. They will operate a combination of the various weapons systems: Iron Dome, Patriot ("Yahalom"), "Arrow", and "David's slingshot". The intelligence branch comprises a significant part of the corps exercise, as this marks the division's biggest exercise in the past 20 years. Headquarters and field units from the entire division will take part in the exercise from the General Staff level to the battalion level. The exercise will include reconnaissance unit representatives who will be attached to divisions in the field and will join various missions within the framework of Intelligence Corps-based warfare. The Technology and Logistics Division will participate extensively as part of the exercise, with all its various corps and divisions. This represents the division's largest training exercise in the past 20 years, with the participation of thousands of reservists and division fighters who will deploy in various places. 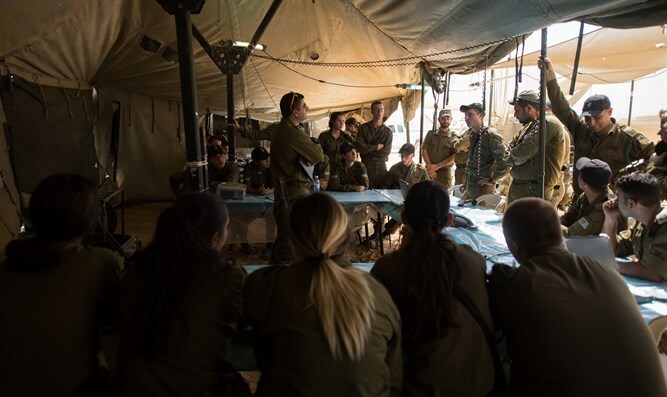 An important element of the exercise already being practiced is explanation and combat awareness among IDF soldiers and civilians. In recent years, the army has witnessed an increase in enemy activity on social networks. "The enemy's efforts on the Internet are concentrated mainly on active recruitment, and 'social vaccination' is a pro-active explanatory activity aimed at raising security awareness among IDF servicemen," notes a senior officer. 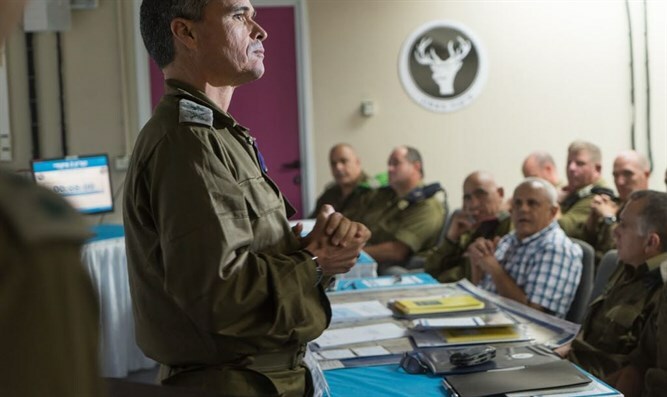 The officer relates that in the framework of this exercise, IDF soldiers and commanders were contacted by figures with characteristics and profiles similar to those used by Hamas (as in the "Hunters' Battle"). In fact, accepting a "friend request" from such figures, direct communication with them, and clicking on the simulated malicious link leads to a security information page and a conversation with an information security officer, in order to impress the severity of the threat into the victim's awareness. In recent weeks, a number of malicious messages have been circulated on the Internet, causing mobile phones or computers to be hacked by the enemy even while the device is turned off. As an example, there were reports of a chemical weapons transfer to Hezbollah, and another about Hamas' willingness to relinquish military rule. The messages were seemingly innocuous but contained malicious code. The exercise, which will continue for ten days, will take place in the Galilee and southern regions, taking into account all sector's circumstances, including civilian flights.